Finding Dory Review | Just Another Fish in the Sea? Pixar has always held a special place in my heart. I grew up with their movies, with their characters, and I typically use them as a barometer for not just animated films, but stories in general. No one can craft a story quite like Pixar – just mentioning the name conjures up memories of watching Toy Story and Monsters Inc. for the first time – but that doesn’t exempt the animation powerhouse from making poor films. 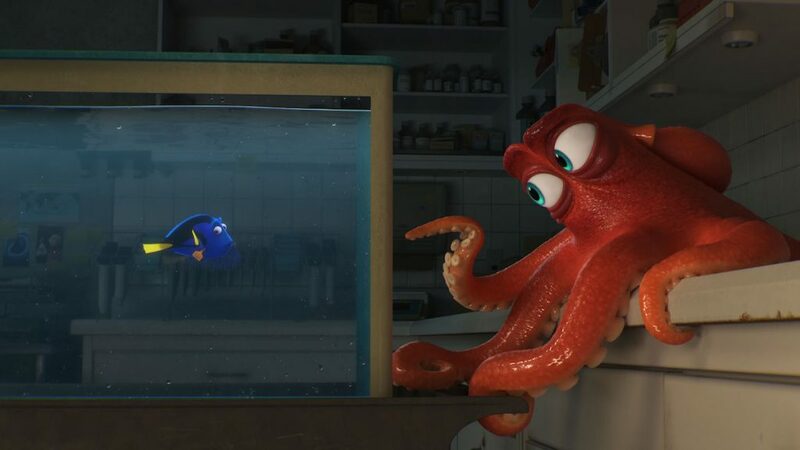 Outside of Inside Out, the studio hasn’t delivered a truly compelling film in quite some time, so as the release date for Finding Dory approached, I grew more and more concerned that this movie wouldn’t achieve the same iconic status as its predecessor. And, if I’m being honest, I don’t think Finding Dory is better, or even as good as Finding Nemo. It’s a good film, yes. But it’s not a great one. And it’s certainly not a great Pixar movie. 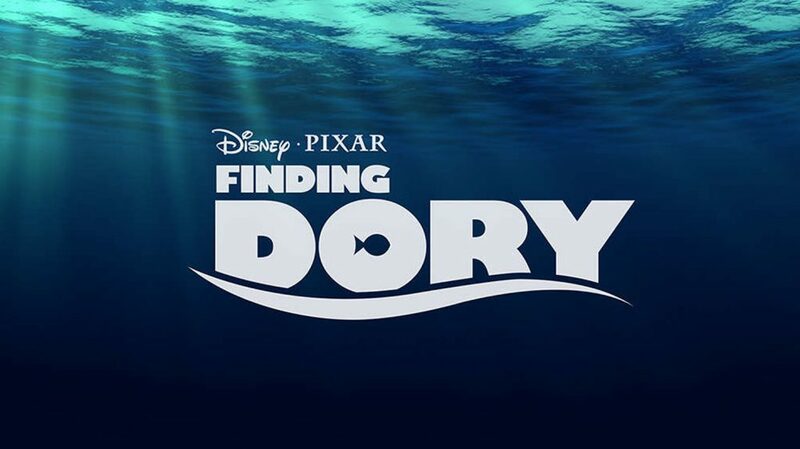 For those that are totally in the dark about this film, it takes place one year after the events of Finding Nemo. 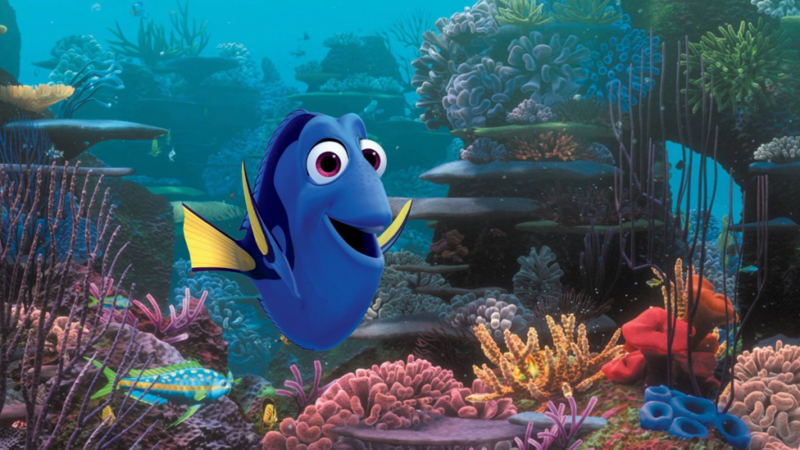 Without giving too much away, Dory happens to remember she has a family, and goes on a crazy adventure to find them. She ends up getting separated from Marlin and Nemo in the process, and then they have to find her as she’s trying to find her family. It’s an endearing film, and it has a lot of heart (I teared up quite a bit during a few scenes), but it’s not without its flaws. For the first 15ish minutes, this film had a hard time finding its groove, and I was worried we were going to get a “Round 2” version of Finding Nemo, complete with recycled jokes. Fortunately, the rehashed jokes are little more than callbacks, and the movie ultimately blazes a trail of its own. I just don’t know how relevant this movie actually is. I think this movie’s primary problem is that it’s a sequel to Finding Nemo that never really justifies its existence. I suppose the same could be said about any sequel to a self-contained story. But I think the difference between Finding Dory and, say, Toy Story 2 is that Toy Story 2 was released just 4 years after the first one. Audiences were primed and ready for another chapter in that franchise (which is my personal favorite Pixar film, tied only with Wall-E). 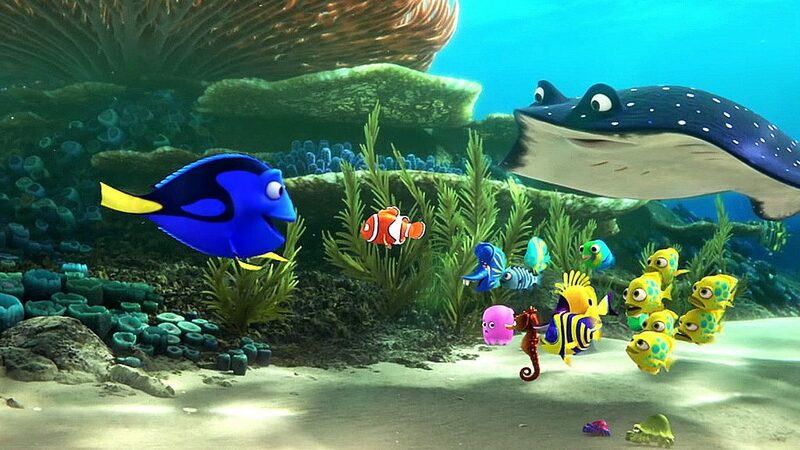 Finding Dory, on the other hand, was released 13 years after Finding Nemo! People have waited more than a decade to see what Pixar would do next with this franchise. That gives fans plenty of time to overhype and/or lose interest in the film, and I think I’ve landed on both sides of that coin. In many ways, I adore Finding Dory. The graphics are stunning, (most of) the jokes land, and it has a surprisingly uplifting message. 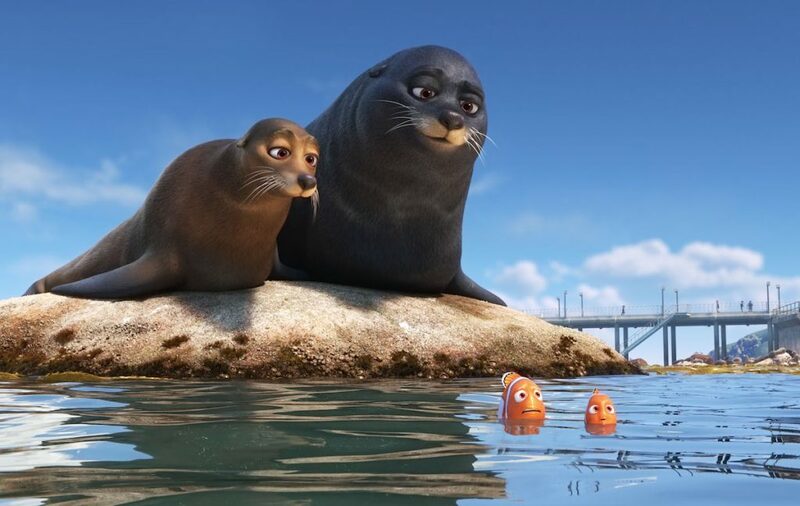 The returning cast are also wonderful (Ellen is a force to be reckoned with, though I wonder if Pixar pulled a Disney by making Dory their Jack Sparrow) and the new cast has some great additions as well – I’m particularly fond of Ed O’Neill’s Hank the octopus and Idris Elba’s Fluke the sea lion. But despite all of these great elements, something about this movie just felt off to me. Maybe it’s just me, but I feel like Pixar’s latest batch of films have felt… hollow. That might not be the right word to describe it, but it feels like Pixar is just going through the motions with their productions. Or I could just be wildly nostalgic for classic Pixar movies and hesitant to change. But I don’t think that’s the case at all, because I loved nearly every Pixar film leading up to Toy Story 3. It’s almost like something changed when they released Toy Story 3, because every movie since then just doesn’t feel right – and yes, I’m including Inside Out when I say this. That’s another Pixar film I wanted to love, one that also has some incredible moments, but it ultimately falls short because it never really gels into a cohesive story. The same could be said of Brave, which I also have problems with. That’s not to say these are bad movies, and I’m certainly not saying Finding Dory is a bad movie either. They just lack a certain luster that the early Pixar films have. I will say the one aspect of Pixar’s latest outing that I truly, truly loved was the new animated short, Piper, that they showed before the movie. It’s a simple tale of a baby sandpiper learning how to hunt for its own food, and I found it to be wildly charming. And maybe that’s where my issues with Finding Dory – and Pixar at large – stems from. Finding Dory isn’t charming. It has charming moments, yes. It has moments that will make you laugh and cry and gasp with awe… but it’s not consistent in how it engages with you. I don’t know if it’s because the new cast doesn’t live up to the old, or because the narrative is oddly paced, or the music is forgettable, or because the movie just isn’t as beautiful as the first. 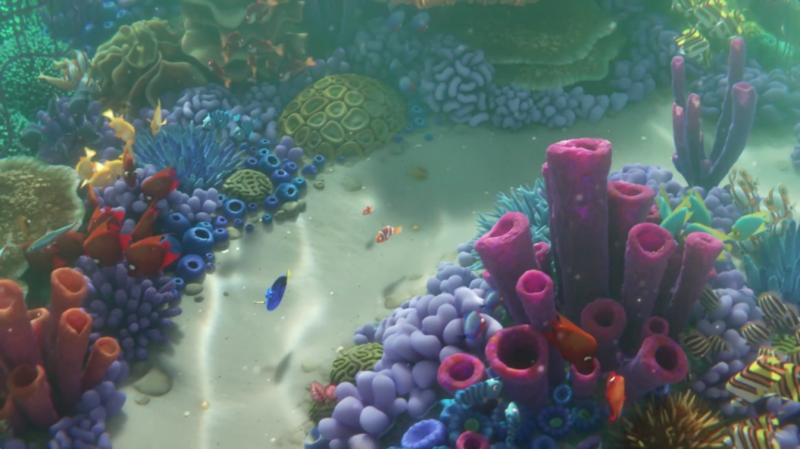 Like, seriously, from a visual standpoint, Finding Nemo’s cinematography and art direction wipes the floor with Finding Dory’s. Whatever the reason, I couldn’t help feeling a bit let down as I left the theater, because I wanted to love this movie as much as I loved the first one. And now I find myself questioning my admiration of Pixar in general. I don’t know what Pixar’s problem is, but they’re quickly losing marks in my book as the best animated studio. Disney has released consistently amazing animated films, and each one has been better than the last. Even DreamWorks has stepped up their game with their How to Train Your Dragon series, which rivals even the best of Pixar’s outings. With so much competition out their, you’d think Pixar would wake up and deliver some powerful stories. Instead it’s almost as if they’re riding on the coattails of their former successes. All this being said, Finding Dory is a good film that I’m sure will capture the imagination of countless audience members, young and old. It’s just not a great one. And I’m only critical because I grew up with Pixar, I grew up with Finding Nemo, and it saddens me to see what is becoming a disturbing trend of lackluster films from a studio that used to be the best of the best. Previous Previous post: X-Men: Apocalypse Review | The End Times for the X-Men?